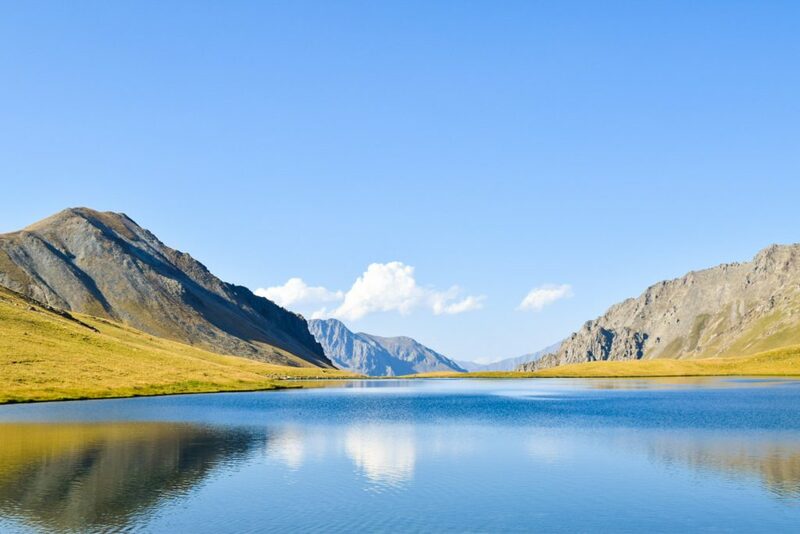 Situated between Europe and Asia, Georgia is a truly hidden gem for nature lovers. Georgia is bordered by four countries: Russia, Azerbaijan, Armenia and Turkey. 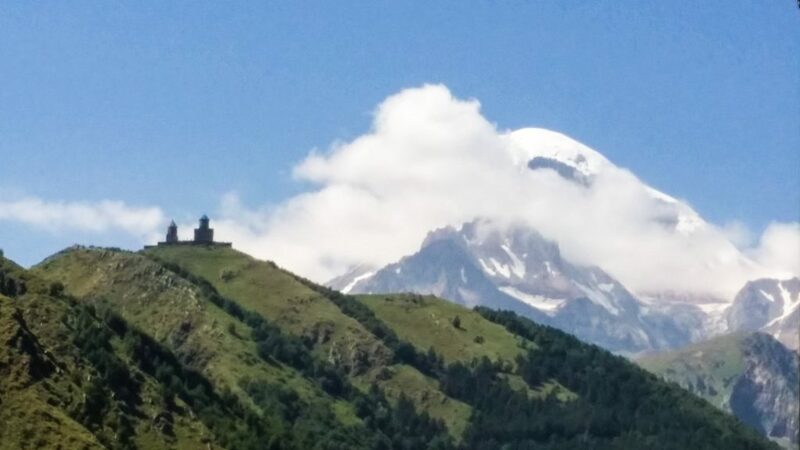 On a whirlwind of a trip, I ventured into the four areas in which one can explore the hiking trails of the Caucasus Mountains - Svaneti, Kazbegi, Tusheti and Lagodekhi. Apart from the mountains, Georgia impresses upon any traveler the sense of hospitality that only a few places in this world still hold. There is the feeling of being "home" in Georgia if you manage to be open to interacting with the locals. Despite the language issues, you are well-cared for because the locals simply treat you as heaven sent as guide books tell you often. On my first full day in Tbilisi, I was lucky to be invited to the hostel's birthday celebration for one of its owner's friends. I was offered a taste of the local cuisine and experienced a wonderful merging of cultures when a fellow hostel resident played a traditional musical instrument from Iran as a way to celebrate the occasion. In Georgia, there is not much of a line between a stranger and a friend/family. By simply being there, you're already part of the most intimate of all social groups - a part of the family or tribe. 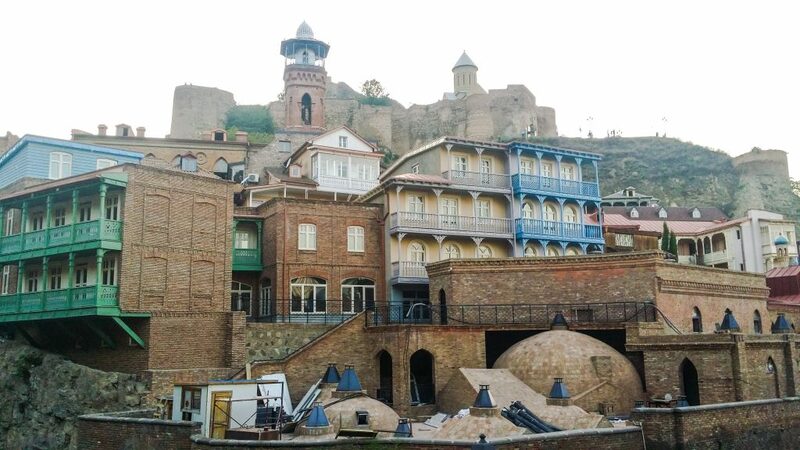 Old town Tbilisi has sulfur baths to ache sore muscles. 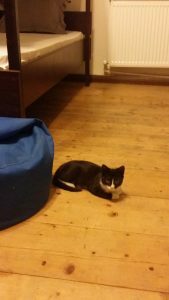 On another occasion, I was well taken care of at a different hostel I stayed at in that I was offered a bed, the use of shower facilities, as well as, being able to charge my electronics and make use of their wifi. All these were free of charge while I wait to depart for my late night flight home. The cat, along with unlimited coffee, also came as a bonus. My insistence to pay was refused repeatedly but my presence was highly treated with warmth. Feline company while waiting at Tbili Hostel in Tbilisi. After my first full day in Tbilisi, I realized the hospitality at every place I stayed at was the norm, not the exception. So it is easy to feel pampered and spoiled in Georgia. I also had the occasion, as part of my scouting treks/projects for my social enterprise, Peak Explorations and non-profit organization, Trails Without Borders, to meet locals who are connected with the tourism industry and they were accommodating enough to meet me at such short notice. As to the trekking tourism potential for Georgia, having experienced the trails myself, I must say that I anticipate the trekking tourism to explode in the next few years or decades. While most European trekking destinations have already gone far beyond being deemed as "established", Georgia is up and coming with so much potential to take over the limelight in this arena. It is already being discovered slowly with tourism growth rising each year and trails being established by various local and international organizations. One such organization is the Transcaucasian Trail (TCT), which has its headquarters in Washington, D.C. TCT aims to build a world-class long distance trail in the Caucasus mountain regions that will connect Georgia, Armenia and Azerbaijan. This will attract more hikers and mountain enthusiasts to all three countries as a goal. The last phase would only require further improvements and expansion in terms of accommodations, transports and tourist services. Tusheti, especially, will have a huge surge of change in the upcoming years given that its accessibility has yet to be improved to open its doors to an increase in tourism. 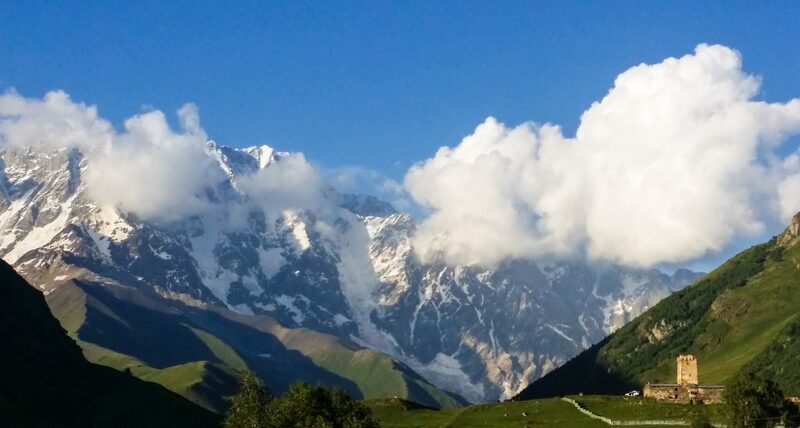 In Ushguli (Svaneti region), which is the highest village in Europe at 2100 meters and a view of Shkhara, which is the highest peak at 5158 meters. Mestia and Usghuli in Svaneti are already gaining attention with a new ski resort being built in the area; while Kazbegi, the most accessible mountain area of Georgia, continues to have a high demand in terms of tourism which will push it further to increase its accommodation, transports, and tourist services. Kazbegi peak and Gergeti Church as viewed from the town. Lagodekhi, and its hidden gem called, Black Rocks Lake, come as a pleasant surprise to those who arrive at the town with the same name and definitely deserve greater attention but for now only a few hardy souls partake in the 4400 meter total of climbing up and down the mountain to see this scenic lake that borders Russia. Black Rocks Lake with Russia just across from you. 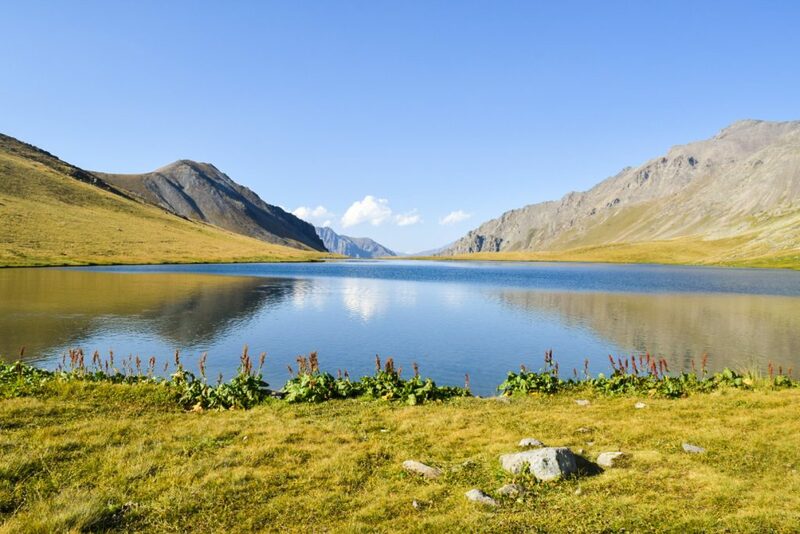 Black Rocks Lake in Lagodekhi National Park requires a 3 day trek. Needless to say, I have thoroughly enjoyed my adventure in Georgia and I would even go so far as to recommend those who are adventurous enough to go alone. Why? Because Georgia is filled with solo travelers, most of whom you will run into and end up exploring the trails with. In that sense, it is an ideal place for solo traveling as the country is safe and locals are ready to help regardless of the language problem. Just one thing when you meet other travelers - be prepared to answer the question, "Why Georgia?" It's the number one question of the trip, only because it takes a unique kind of person to decide to travel in Georgia. Take it as a compliment. In my own travel, I did not see any American backpackers although I met backpackers from all over the world such as Israel, Egypt, Sweden, Portugal, Malaysia, Ireland, Poland, Czech Republic, UK, among a few others. I am forever changed because of Georgia. Its simplicity, the sweeping views along the trails of the Caucasus and the generosity of the people will haunt me for eternity, so much so, that I would even consider living here in the future. The Georgians are maddeningly warm and hospitable which will only add more to its rise as a worthwhile future trekking destination in Europe. In contrast, in most touristy trekking regions in Europe, hospitality has been compromised in many ways and therefore leaves you wanting for more connection to the place and its locals. In Georgia, experiencing the people will leave you with a sense of openness to the world that is simply contagious. This then leads me with just one last thing to say - Go now before the rest of the world discovers it or risk losing out on the magical experiences from its current level of authenticity and rawness. About the Author: Brown Gal Trekker treks mountain regions globally and write about the experience to encourage others, especially solo travelers, to venture into remote trekking areas of the world. She also runs a social enterprise, Peak Explorations (www.peakexplorations.com) and a non-profit, Trails Without Borders (www.trailswithoutborders.org), to support local tourism in remote trekking areas by promoting budget-friendly adventure/trekking tours. You can check out her blog, www.browngaltrekker.com for more travel stories. Tusheti MTB tour 2016 part 2 - Back to Sunshine and dry trails. What are the MTB trails like in The Republic of Georgia?